Probiotic drinks can improve the quality of your life tenfold. These contain good gut microorganisms that aid digestion. According to WHO, probiotics are “live microorganisms which when administered in adequate amounts confer a health benefit on the host” (1). The benefits of probiotic drinks include boosting immunity, reducing cholesterol, lowering blood pressure, treating skin disease, and curing traveler’s diarrhea (2). They are mostly found in cultured milk and fermented foods. But the daily intake of these foods fails to provide enough probiotics for your body. Hence, you must consider having probiotic drinks. 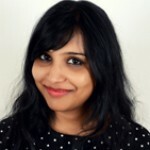 This article enlists the best probiotic drinks available in India. But first, let’s find out what probiotics are. In simple language, probiotics are good gut bacteria. Not all microorganisms are pathogenic or disease-causing. There are innumerable bacteria living on our skin and inside our body – including those that are beneficial for our health. 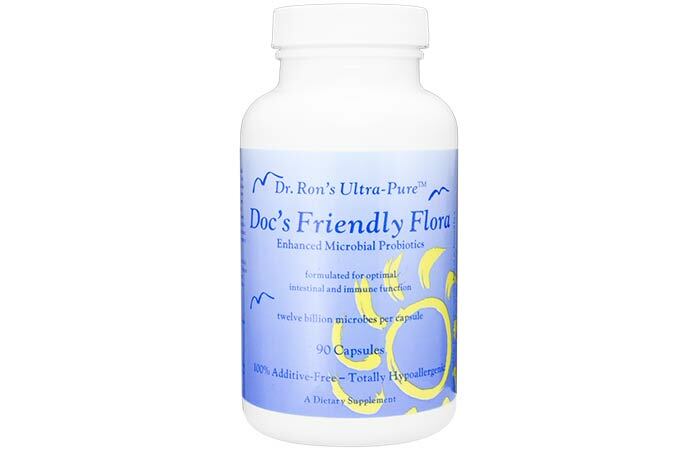 Probiotics live in the digestive tract and aid proper digestion and absorption and boost immunity. The probiotic bacteria release enzymes that are useful in breaking down or digesting the food we eat. This, in turn, improves digestion and prevents gut-related diseases and discomforts like antibiotic-associated diarrhea, constipation, IBD, IBS, etc. 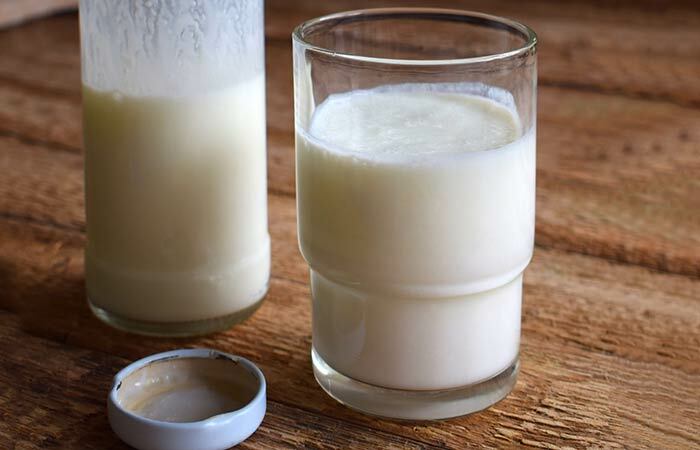 Now, let’s look at the list of the best probiotic drinks in India. You may have seen Yakult’s commercials many times but never really reached out for it even when you saw it in the supermarket. Well, Yakult is not only the most popular probiotic drink in India, but it is also delicious. It helps improve intestinal function and builds immunity. It is prepared from skimmed milk powder, sugar, glucose, natural flavor, water, and about 6.5 billion beneficial bacteria (Lactobacillus casei strain Shirota). It has a citrusy taste. Daily consumption of this drink can increase the number of good bacteria in your gut, which improve digestion and bowel movement. The Yakult probiotic drink also improves nutrient absorption to strengthen your natural defenses. Today, it is a popular drink with over 30 million people in more than 30 countries, including India, consuming it daily. 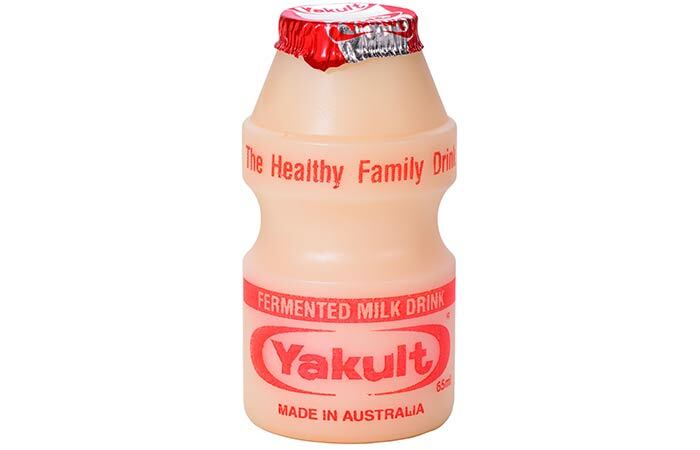 You can have one bottle of Yakult per day. If you wish to drink more, consult your doctor first. If you are suffering from a stomach upset due to food sensitivity, GoodBelly probiotic drink is the right choice for you. This delicious probiotic drink contains live and active probiotic cultures, such as Lactobacillus plantarum 299v (LP299V®), one of the most prominent probiotic cultures available in the market. Unlike most probiotic drinks, GoodBelly drinks are dairy-free, soy-free, entirely vegan, and a treat for those who love the refreshing taste of juice. They come in a range of original flavors like mango, strawberry, lemon ginger, coconut water, pomegranate, blackberry, cranberry, watermelon, tropical orange, carrot ginger, etc. Daily consumption of this drink promotes healthy digestion. 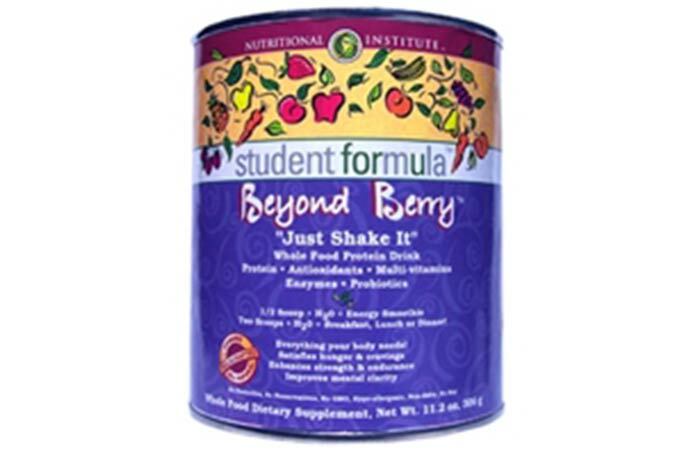 Beyond Berry Student Formula is basically a powdered protein drink made from organic berries. It is low in calories and rich in antioxidants, enzymes, and probiotics. Its benefits include prevention of inflammation, improved response to stress by increased support to the adrenal glands, increased energy, improved mental clarity, protection of the cells from oxygen damage, healthier skin, and strengthened immune and digestive systems. Being rich in antioxidants, it also helps protect against free radical damage. 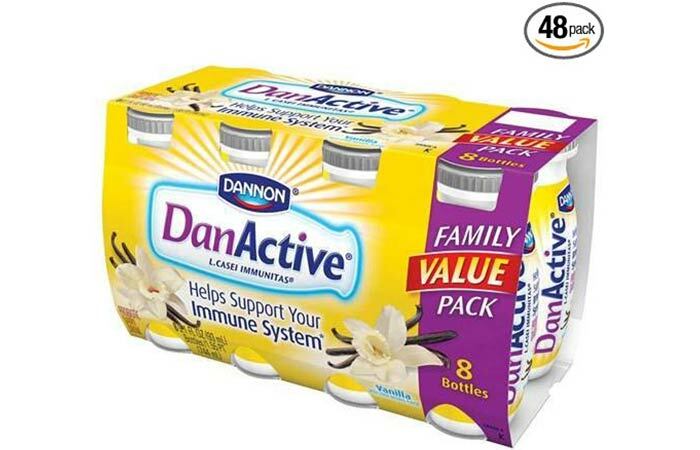 Dan Active from Dannon is another popular dairy drinks. It is available in a range of flavors like vanilla, strawberry, peach, pomegranate berry, blueberry and mixed berry or light pomegranate berry. This drink helps strengthen the immunity, thereby improving your resistance to infections. It is widely available in grocery stores in 3.1 oz. bottles. This organic juice by PRE is available in a variety of flavors like Passion Orange Guava, Acai Cherry, and Pomegranate Blueberry and is suitable for people of all ages. It aids digestion by promoting a healthy digestive balance and facilitating the growth of beneficial bacteria already present in your digestive system. An increase in probiotics improves your resistance to harmful bacteria and boosts your immune system. 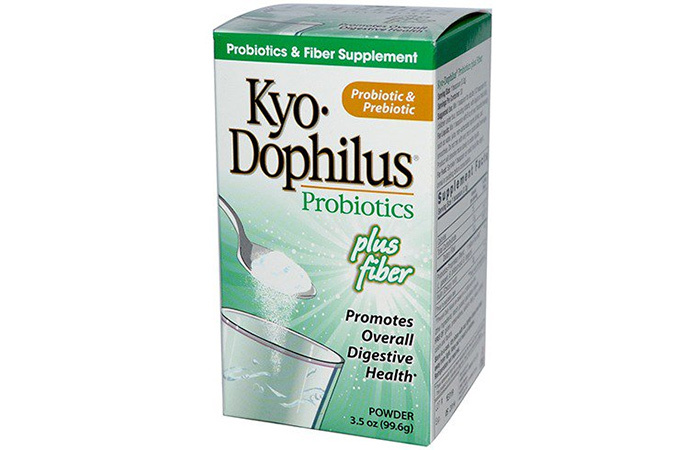 This probiotic supplement by Kyolic is recommended during and after undergoing medication and is suitable for all ages. Its benefits include improved immunity and digestion and overall well-being. It is available in the form of probiotic powder, which is devoid of preservatives, sodium, sugar, gluten, yeast, milk, and artificial colors and flavors. You can sprinkle it on your food or add to drinks. It is available at your local food store in 3.1 oz. bottles. This drink by PHD Probiotic Health Daily incorporates a delicious balance of berry and citrus flavors. 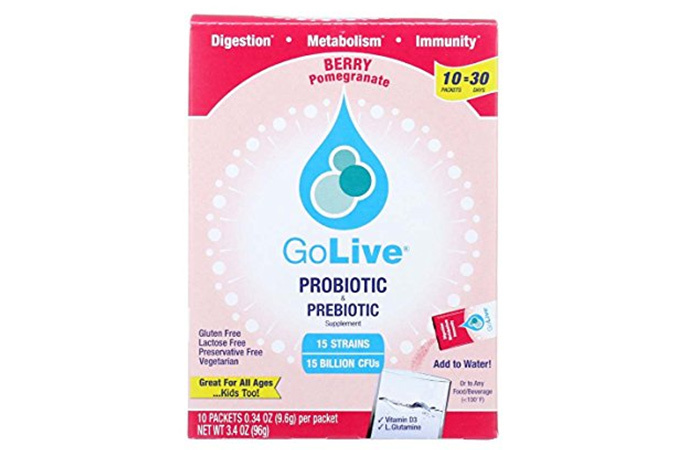 It contains 6 probiotic strains, 20 billion CFU, and 3 grams of prebiotic fiber in a single packet. It claims health benefits like strengthened immunity, healthy digestive system, and improved overall health. It is available in your grocery or health food stores in 10 oz. bottles and powder packets. However, the powder packets contain just 10 billion CFU. 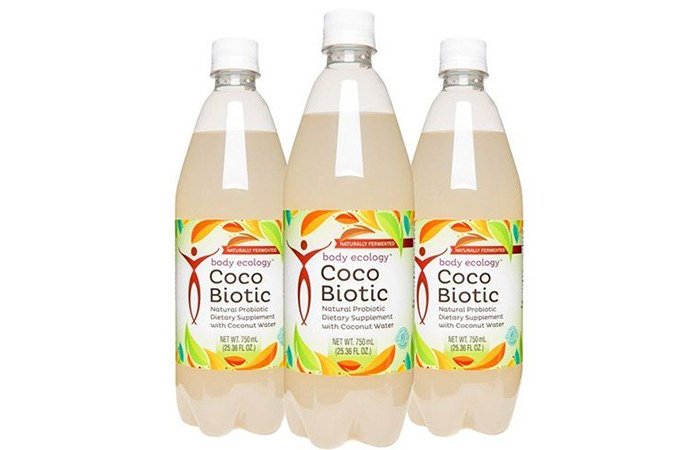 Cocobiotic by Body Ecology is a naturally fermented probiotic drink prepared from young coconuts and is gluten-free. Its benefits include improved digestion and liver cleansing, lower sugar cravings, and increased energy. For better results, it is recommended to drink 4 ounces of this drink with each meal. This probiotic drink claims detoxification, weight loss, and improved well being. It is particularly beneficial for those who have autism, ADHD, and cognitive disorders. It contains several different probiotic strains and a phototropic. These were our top picks for probiotic drinks that are available in India. Pick any one and give it a try if you suffer from weak immunity and recurrent digestive problems. It is recommended to consult a doctor and discuss benefits of probiotic drinks before using them regularly. So, what is the recommended dosage? Find out below. What Is The Recommended Dosage Of Probiotic Drinks? The dosage should be decided by your doctor, depending on your current medical issues. You can also check the dosage recommendations on the label of the bottle. Do not overdose yourself for instant results as it can affect your health. So, are these drinks safe? Let’s find out next. Is Drinking Probiotic Drinks Safe? First and foremost, you must consult your doctor before taking any of the products mentioned above. In fact, if you suffer from chronic diarrhea or constipation or have a stomach ulcer, you should undergo a proper check-up before jumping to conclusions. After your doctor confirms that you can drink the commercially available probiotic drinks, you can go ahead. It is safe to drink probiotic drinks in the dosage prescribed by your doctor or as mentioned on the label of the bottle. Now, the next question is, what’s the best time to drink a probiotic drink? Scroll down to find out. What Is The Best Time To Take Probiotic Drinks? You can take the probiotic drink first thing in the morning on an empty stomach or before going to bed at night. You can also check the label of the bottle to find the best time to drink it. Make sure you have it at a time when there are lesser chances of interaction with any medication or food. 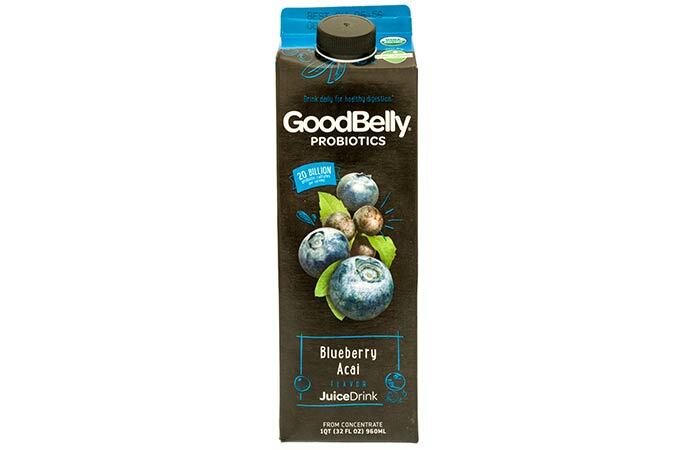 Do probiotic drinks have any other benefits apart from helping in digestion? Yes, they do. Here’s a list. 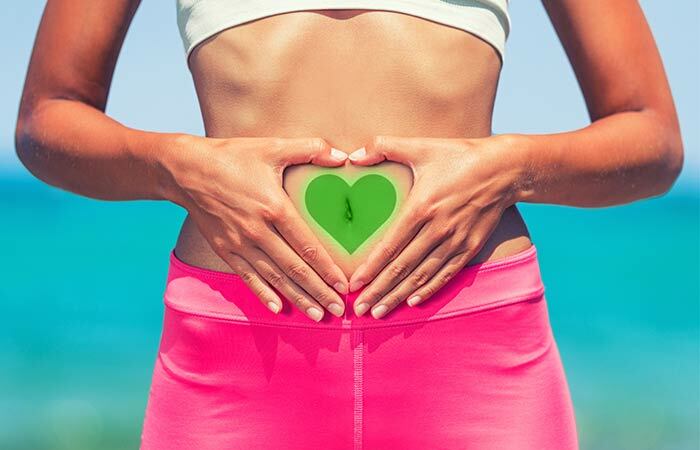 Better digestion and gut health. Stimulate the production of vitamins B12, K2, and butyrate. Boost immunity by increasing the production of IgA and T-cells. Improve skin health and can be used to treat psoriasis and eczema. May reduce the intensity and frequency of common cold and influenza. Suffering from gut problems may lead to other serious health issues. And you must address this problem immediately by consulting your doctor and consuming probiotic drinks. Choose from the list above and live a disease-free life. Cheers! What is the best probiotic drink? You can try any of the probiotic drinks mentioned above. Do probiotic drinks help you lose weight? Yes, probiotic drinks can aid weight loss by keeping your digestion healthy, strengthening immunity, maintaining internal pH, and flushing out the toxins. How do vegans get probiotics? Vegans can get probiotics from Kimchi, fermented soy products, pickles, etc. You can also check the label to find if a probiotic drink is vegan.